In the immediate vicinity of Paseo Borne but a little bit on the side you find this wonderful and unique home that has been created from what used to be several smaller apartments. 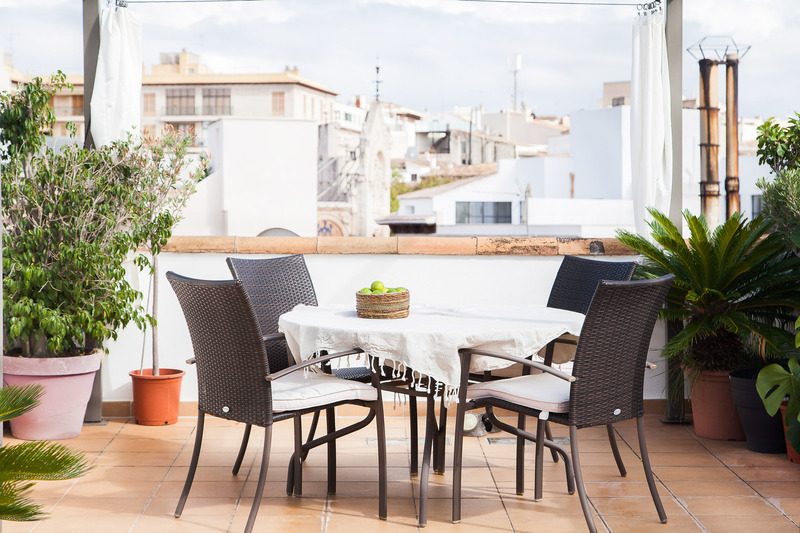 From the private roof terrace you have a magical and undisturbed view of the Old Town's roofs and ridges. The apartment offers three bedrooms and two bathrooms over two floors, creating several social and private areas. It is located three floors up in a magnificent historic building but is modernly renovated with both heating and air conditioning.